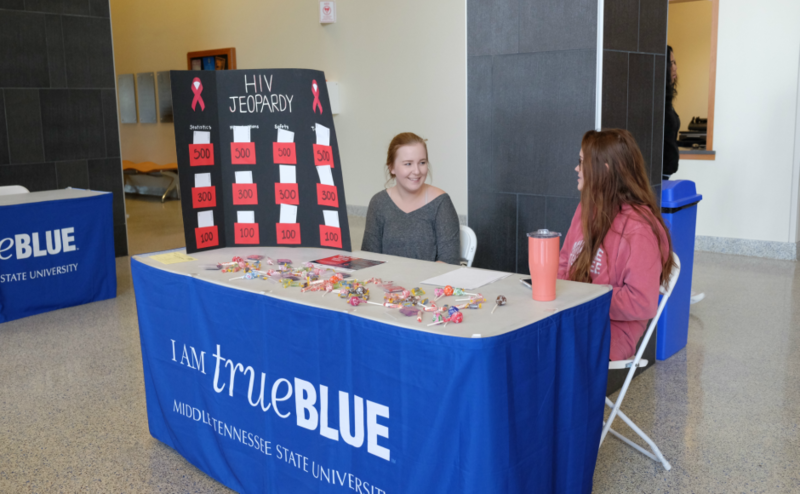 On Tuesday, students of Middle Tennessee State University set up tables in the university’s Student Union Building to promote free and anonymous HIV testing, which will take place at Middle Tennessee State University on Nov. 28. 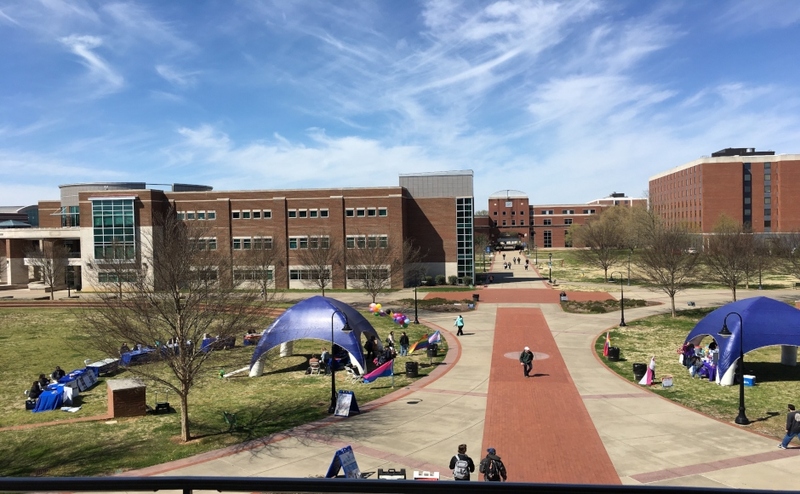 The students used the tables as a way to spread valuable information and facts about HIV and AIDS and to let people know about the free testing, which is a part of a project, titled “MTSU Cares,” for their psychosexual adjustment class. Along with pamphlets, flyers and candy, an interactive “Jeopardy” game with questions about HIV and AIDS was created by the students to help engage students. 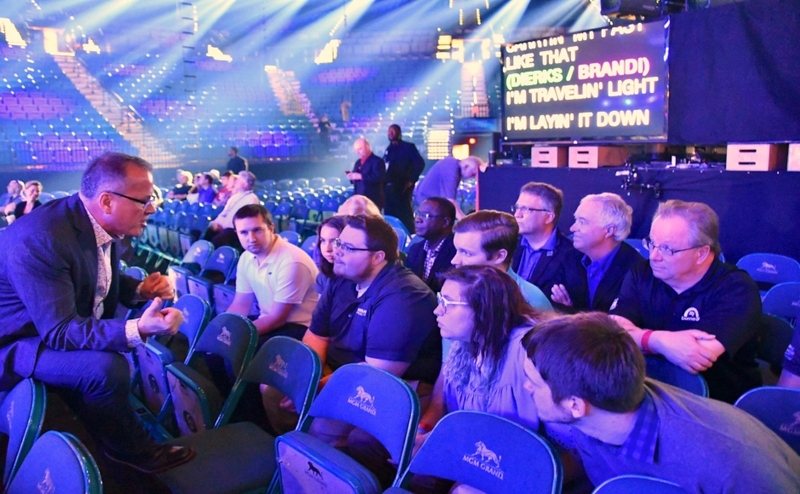 Questions for the game had topics on statistics, misconceptions, treatments and safety. “Lot’s of people just want to answer as many questions as they can to get educated, which is awesome,” said Haylee Higgins, an MTSU senior and psychology major who is involved in the project. 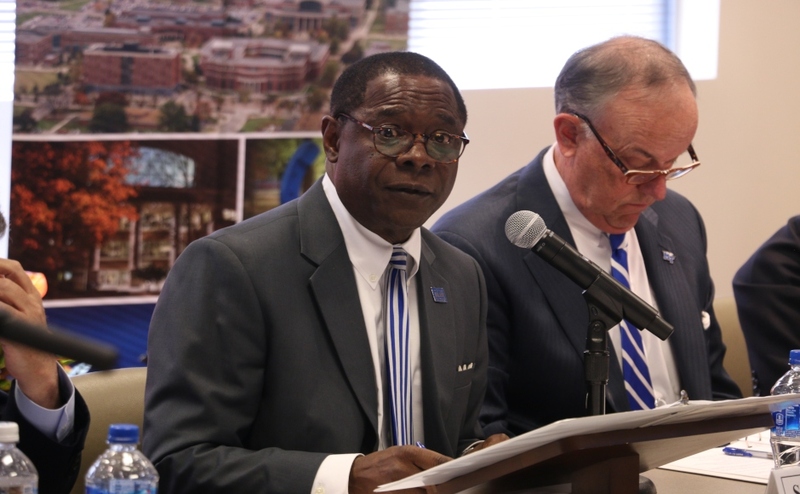 About 14 percent of people who have HIV don’t know that they are infected, according to HIV.gov, and Caroline Love, a senior and psychology major who is working on the project, said that the testing at MTSU is a way to help lessen that number. “I feel like it’s really important that (the testing) is a thing and we’re actually talking about (HIV) and not letting it be in the background because it’s actually a serious issue,” Love said. 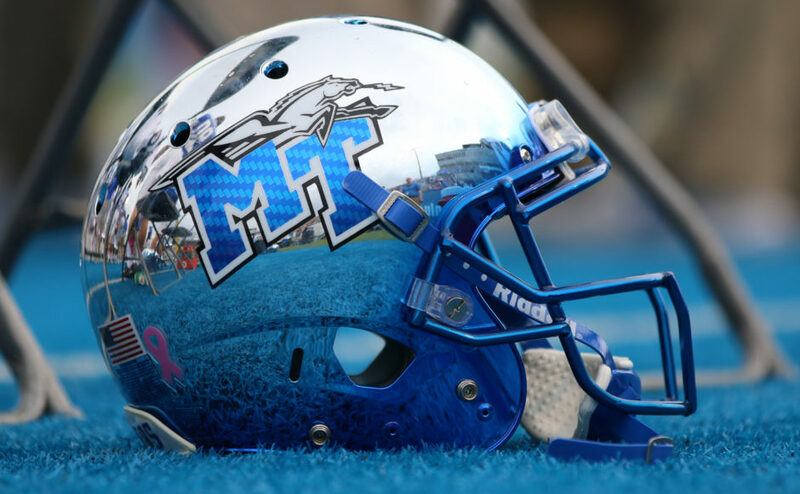 For the HIV testing on the Nov. 28, MTSU has teamed up with Nashville Cares, a group that provides resources to those infected with HIV. The group also educates Nashville residents on ways to prevent being infected with HIV. Love said that she feels it is important for information on HIV to be spread on college campuses. The testing will be taking place in rooms 218, 220, 225 and 227 of the Student Union Building. Testing is non-invasive and done with a mouth swab. Results will be provided to students within 15 minutes.